But Harry Potter will live on in our hearts forever! Click here to see the list of the poor buggers who didn't make it, be warned.... its full of SPOILERS if you havent read all 7 books. 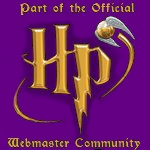 - Join the EVERLASTINGMAGIC FORUM to discuss everything Harry Potter. Everlasting Magic is an unofficial fan site. I did not create Harry Potter or any of the characters from the Harry Potter series. My site isn't here to infringe upon any copyrights or break any laws, it's simply here to show my love for Harry Potter and everything it represents. An enormous thank-you to Roxanne Reilly for believing in me and the constant support, Ximena (orchid) for her opinions and encouragement, WandMaster, Leigh, Tessa and Sala for their constant hard work in the forums when their were running and of course J.K. Rowling for writing the best story in the entire universe. This site is best viewed at 1074 x 764 resolution.